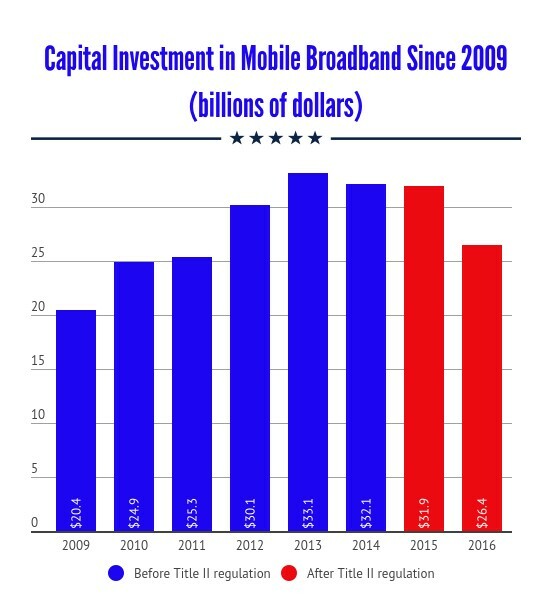 The bad news as 2015 begins is that the Obama Administration’s Federal Communications Commission (FCC) appears set to vote next month to reclassify broadband service as some sort of public utility. You read that correctly. After twice having its so-called “Net Neutrality” efforts rejected by federal courts, Obama has called on the FCC to double down on that destructive campaign, hoping to subject one of the few sectors of our economy that has continued to thrive in recent years to more regulation. Senator John Thune (R – South Dakota), the new Senate Commerce Committee chairman, struck the right chord in announcing, “The regulatory tools at the FCC’s disposal are outdated, and its previous efforts to create rules to regulate the Internet were struck down by the courts. It’s hard to imagine that its new attempt will escape legal challenges and avoid the kind of regulatory uncertainty that harms Internet innovation and investment.” Meanwhile, opposition to Obama’s scheme continues on the House side, with one House Energy and Commerce Committee staffer saying that “all options are on the table.” That includes legislation to block reclassification as a public utility, cutting FCC budgetary funding and invoking the seldom-used Congressional Review Act to void federal administrative regulations of significant impact. Word must obviously be met with substantive deed, but it’s nice to at least see 2015 begin with a commitment from both houses of the incoming GOP Congress to fight this ill-advised, illegal and stubborn effort from Obama’s FCC.